Greentree NJ Siding Contractor: Vinyl or Fiber Cement Siding - Tortorice Contractors Inc. If you need to have siding installed by a Greentree NJ siding contractor, you need to pick a material that is best suited for your home. Not only will the siding beautify your house, it will also increase its property value. However, siding is not there just for decorative purposes. It is also there to protect you from the weather. In order to do its job properly, you also need to maintain the siding regularly. Not all sidings are created equally. Here are some basic differences between two of the most popular sidings: vinyl and fiber cement siding. Vinyl siding is made from plastic materials. It is a combination of PVC and other materials that give it a unique texture. It comes in many different colors so there’s one that’s bound to match your requirements. It was introduced in the 1950s and remains a popular choice for many. Fiber cement, on the other hand, is made from cement, wood fiber, and sand. It used to contain asbestos, but modern fiber cement sidings are now health and safety compliant according to the siding contractors in Green Tree NJ. Since vinyl is made from PVC and other plastic materials, it obviously has a very high carbon footprint. Vinyl siding is also not recyclable due to a high content of inseparable materials. Fiber cement is a more environmentally friendly choice according to siding installers from Greentree NJ. Fiber cement contains natural ingredients like wood fiber and sand so it is a very sustainable siding material. According to siding contractors from Greentree NJ, both types of sidings are actually fire proof. If a vinyl siding is exposed to high heat, it will just melt down. Fiber cement siding though does not only resist melting but also fire. It is not affected by high temperatures that can melt vinyl. Many Greentree NJ siding companies find both types of sidings relatively easy to install. Both types of sidings are usually installed the same way so as long as they are installed correctly by a professional siding company in Greentree NJ, they should be done in a relatively short amount of time. Both types of sidings are also easy to maintain. For example, vinyl siding needs regular wipe downs to prevent the growth of mold or mildew. Dirt and debris can also build up so you might want to wash it down with a mild cleanser. Vinyl can be damaged by hail and other objects which can cause dents or punctures to the surface so you also need to check for this to ensure that it remains weatherproof. Maintaining fiber cement siding is also easy since it is moisture resistant. However, you need to watch out for sensitive areas like where it joins the windows or doors since caulking can wear down. Inspect the caulk annually and look for any cracks in the gaps to ensure that it is sealed tightly. Both types of sidings are actually durable and designed to bring years of beauty and protection. According to siding installers in Greentree NJ, vinyl siding can last 25 to 30 years and longer if it is well maintained. Fiber cement siding is more durable though. Some well cared for sidings can even last at least 50 years. Versatility is another factor you need to consider when choosing a siding. Some siding contractors from Greentree NJ report that fiber cement siding is more versatile compared to vinyl sidings. You can also paint the former any color you choose so it can blend into your home’s exterior color if you ever decide to change it. Vinyl comes in many different colors to match your house. However, you cannot paint vinyl. Paint chips off and can compromise its structure. If you want to change the color of your house, you need to choose a color that compliments the siding or have a brand new one installed by a Greentree NJ siding company to match the new color. Price is perhaps the biggest consideration homeowners have when choosing a type of siding. Fiber cement is a more expensive choice but it can add value to your home. Vinyl is a cheaper option but it can still make your home look beautiful according to siding companies in Greentree NJ. To summarize, vinyl sidings cannot be painted and can be cleaned using a soft brush and mild cleanser. 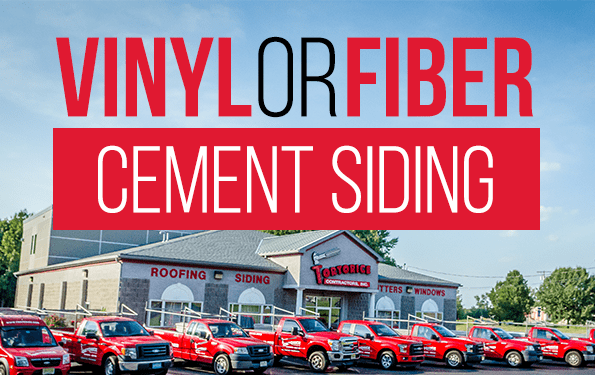 It is more affordable than fiber cement sidings and can last up to 30 years with proper care. With fiber cement siding, you need to inspect it each year. You need to check the gaps and cracks and fill any with caulk. You can also use a power washer and mild cleanser to clean the fiber cement siding. Greentree NJ siding contractors can give you good options if you’re looking for the best type of siding for your home. The best kind of siding is affordable, durable, and compliments your home.